Are your students ready for springtime? Are you ready? 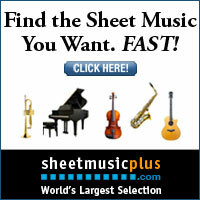 Springtime brings a whole new set of dynamics into the music classroom. Students are “wiggly”, they want to be outside playing, testing is ongoing and the school year is winding down. My first of the year lessons are significantly different than the lessons I’m using right now. The difference is that I’m using movement activities as the main event! The learning goals are achieved through students moving. So, for the week after Easter, I’m using some bunny themed activities in my classroom. That’s why I want to share with you this free bunny movement activity song. Add this song to your creative movement playlist. Ask students to show the actions in the song. Teach the lyrics and sing the song. Ask the students to choose specific actions for each verse of the song. You can find Spring activities in these blog posts that coordinate well with “Funny Little Bunny”. “Funny Little Bunny” Free video resource includes a teacher packet with the lyrics and sheet music. If you’re looking for a complete music lesson, you’ll want to “hop” on over to the music lesson resource in the Teachers Pay Teachers Store. Incorporate movement into your spring themed music classes with “Funny Little Bunny music and movement lesson. Teach rhythms, how to play an Ostinato, while including creating, moving and singing activities. There are several rhythm activities in this resource. Students can learn quarter and joined eighth notes. Or, you can use the quarter rest teaching pages. Students love to create their own movements. After teaching the song, have students get in small groups and explore what other “moves” bunny can do. Have them practice and perform for the class. 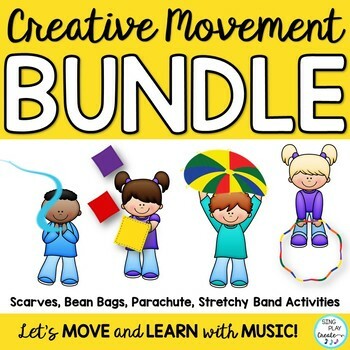 Creative movement is an essential part of the elementary music curriculum. Check out these blog posts with creative movement activities for your classroom. Lastly, give students opportunities to create rhythms that imitate the other sounds in the garden where bunny lives. I love watching my students doing all these interactive activities during April. I’m hoping the you’ll find some fun ways to use the bunny movement activity song in your classroom this spring. Looking for More Movement Activities? You’ll want to check out this top selling bundle. And, if you just want to purchase 1 of the resources- it’s EASY! Go to this link and all of the resources in this bundle are listed separately. Please share this with your teacher friends!